Please help me celebrate my 60th Birthday! For my 60th birthday this year, I'm asking for donations to charity: water. 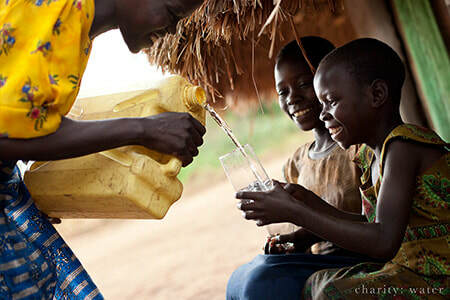 I've chosen this nonprofit because I believe in their mission: charity: water is a non-profit organization bringing clean and safe drinking water to people in developing countries. Most of us have never really been thirsty. 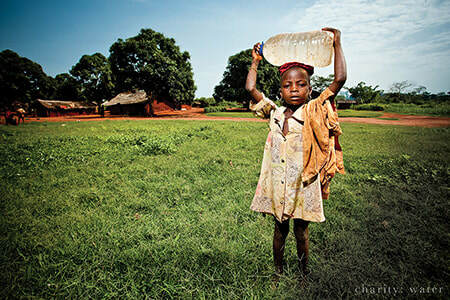 We’ve never had to leave our houses and walk five miles to fetch water. We simply turn on the tap, and water comes out. Clean and refreshing. Yet there are 663 million people on the planet who don’t have clean water. Women and children are responsible for fetching the water which prevents them from being educated and working to improve the local economy. Not only does clean water in their community allow them time for work and go to school but it also means improved health and a better way of life. Charity: water has private donors that support the operating costs so 100% of the donations goes to fund the water projects. This is an opportunity to make a difference for the lives of the people today, tomorrow and generations to come. Not only does charity: water fund the water projects but they also maintain the systems so they will last for generations to come. A donation of $30 will provide water for 1 person, I'm asking for a donation of $60 to help me celebrate my 60th birthday. ​as my way of saying thanks!